As Mozambique braces for the onslaught of Tropical Cyclone Idai, flooding from the system that became the storm has killed 122 people in Mozambique and Malawi, making it the deadliest weather disaster of 2019. Tropical Cyclone Idai about to make landfall near Beira, Mozambique as a category 3 equivalent storm. Already 120 lives lost from flooding and unfortunately that number expected to climb quickly. The initial system killed at least 66 people due to flooding in Mozambique, Agence France-Presse reported. Flooding has also destroyed more than 5,700 homes and impacted more than 140,000 people in the southern African country. Flooding from the storm has already inundated nearly 650 square miles, destroyed 18 hospitals, 938 classrooms and injured 122 people. 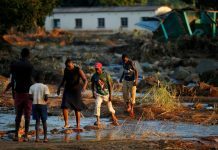 In Malawi, the government declared a state of emergency after 56 people died and hundreds of thousands were displaced by flooding. 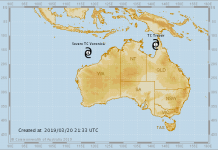 Now considered the deadliest weather disaster of 2019, Idai is expected to bring highly destructive winds, heavy rains in excess of two feet and a 20-foot storm surge. 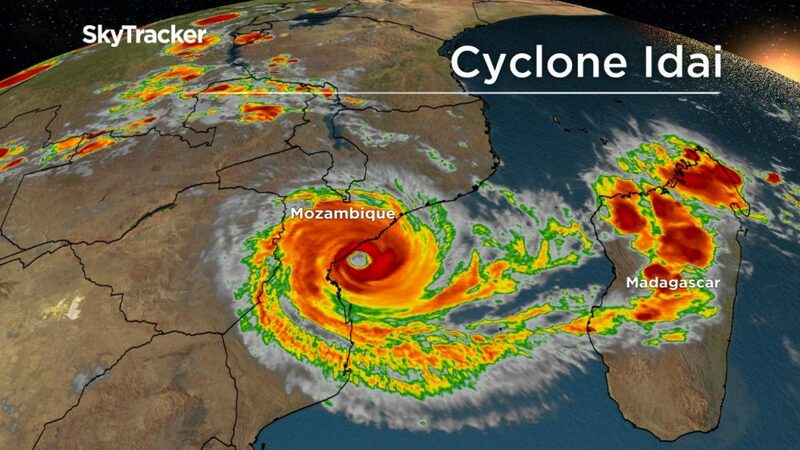 The storm is expected to make landfall Thursday night near Beira, Mozambique’s fourth largest city, with 530,000 residents. Meanwhile, Europe and the USA are being devastated by severe storms! Man-made weather control at its best! This topic contains 2 replies, has 2 voices, and was last updated by Strange Sounds 1 month, 1 week ago. Look at the Track of this Storm. As if It was remote controlled ! 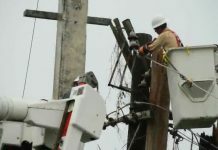 Just in: communication out in Beira after Idai ravages the city overnight!